At IEM Chicago, of all the teams to potentially make a statement, the third-best French team LDLC were not the first to leap off the page. For those in-the-know about online CS, the roster definitely posed upset potential. They had taken European scalps across the online landscape, including the likes of FaZe, Optic, G2, AGO, and Epsilon. They have a young roster, but not one wholly unknown to the pressures of LAN with experience at smaller European events across the back-half of this year. What’s more, in the lead-up to IEM Chicago, they played on-average 3 maps a day, for three weeks via LAN, qualifiers and online leagues. Last 30 days, @TeamLDLC played 64 maps in official matchs, that's 2.1/days average. In the next 10 days, we will be at an average of around 3/days. While they were not expected to do well, they weren’t a Vega Squadron-type team who came from nowhere. But even still, this context does not dampen the revelatory nature of their IEM Chicago results. Not even they could expect such a run. This team is improving so quickly. Keep it up @devoduvekk and @AMANEK_! Just as they did online, they lost 16-14 to FaZe off-the-bat, earning double the rounds Astralis would be able to later in the bracket on Mirage. Then, in the lower-bracket, fortunately with Bo3’s to guide their path, beat Renegades, North, and then most notably, NRG in three back-to-back series. They would fall in the quarterfinals to Liquid, but take a map off them and threaten a 2:0 in the process. These results are the most impressive a French team has earned in nearly half-a-year. This is less-so a praise for LDLC as it is an illumination on just how poor the French scene writ large has been in 2018. If a team cobbled together from the misfits of Misfits, and relatively low-key domestic fraggres can out-perform a side like G2, then undoubtedly there’s a series of inefficient cogs in the overall mechanisms of the scene. Recently, it was announced that G2 would be benching Ex6tenZ and SmithZz for Lucky and JACKZ from 3DMAX. This news came just days after the end of IEM Chicago and LDLC’s run at the event, making the move especially poignant in the broader scope of regional play. LDLC’s biggest strength in Chicago lied in the overall coherence of their T-side fragging core and consistent ability to work opening kills on CT-side. ALEX was one of the lowest rated players in Chicago for LDLC, due to his role as the hard-entry. In a similar fashion to SmithZz, ALEX doesn’t necessarily have the most reliable firepower off the bat, but plays an important role in hits, being able to open space for others. 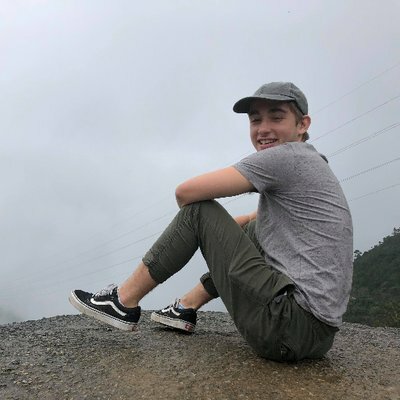 Off of his selfless play, Amanek, to1nou, and LOGAN work plays in a fashion that mirrors how, in-theory, shox, KennyS, and bodyy should find impact as well. The overall on-paper structure of LDLC in this sense, isn’t actually wholly different than the make-up of G2. What distinguished LDLC though, was their teamplay and cohesion under the pressure of series play. While ALEX might’ve posted a high deaths-per-round, he also had nearly the highest flashbangs thrown on the team; an uncommon caveat for an entries play. LDLC don’t have a low-fragging IGL, but two confident callers in Amanek and ALEX who both post big individual stat-lines on top of calling a tight mid-round. They may lack the same dazzingly high peaks that KennyS and shox can hit, but on most other fronts, have more fleshed out, reliable win conditions. G2, by contrast, are looking to add two inexperienced, untested entities in JACKZ and Lucky to an already shaky roster. Lucky is a hybrid between the AWP and rifle while JACKZ seems to be the player more at the forefront of 3DMAX’s executes, not as a hard-entry per se, but one who finds himself doing as much often. G2 definitely lacked T-side sting with SmithZz at the tip of executes and Ex6tenZ individually not playing to par. It’s tough to see how JACKZ and Lucky will significantly change this dynamic in a meaningful way though. For while they may be more talented individually than the two they’re replacing, shox will likely have to take up leadership duties, diluting his own play. As a result, for what G2 gain in trying out two rookies, they lose on the only reliable piece of firepower they’ve had to date. This is an incredible volatile, important time for the French scene. 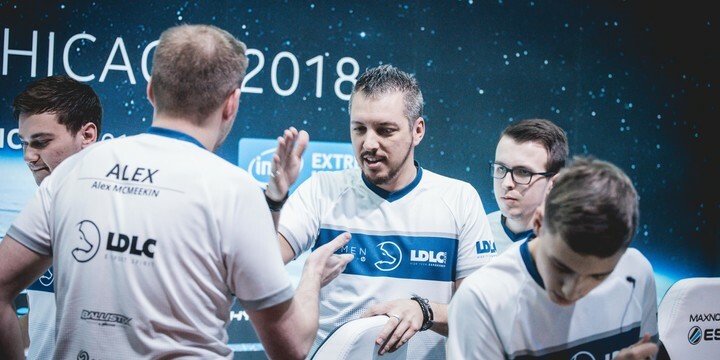 Previously unknown entities like LDLC have suddenly been thrust into the spotlight while the poster-boys in G2 have been forced to reach into the shadows. One is looking to capitalise on momentum while the other is trying to just stay afloat. The scene overall though, remains in an uncertain place. The new hope in Vitality has struggled immensely online and are yet to be tested on LAN. Dreamhack Atlanta will change that dynamic, but one can’t imagine a total transcendence of their online form. There has never been as much parity in as great a region, for as long a time as there currently is in France. Even Sweden has been able to flirt with the top ten in and around their historical slumps where as France has been forced to look up to the likes of LDLC just to manifest optimism. So while LDLC may win, Vitality remains uncertain and G2 looks to stop bleeding out, really it’s the scene overall who loses out. French teams have historically been the primary drivers of revolution against the top team in the world - the context of their culture seems to help, in this sense. And in a time when the number one team rules with the tightest grasp we’ve ever seen, one can’t help but feel amiss that a French force isn’t there to loosen its control. Whether it’s LDLC or otherwise to do as much doesn’t matter as much as remaining hopeful that an all-time great region can once again find its feet.